Media Release (December 11, 2016) On July 5, 2016, Fort Erie Fire & Emergency Services attended the property 170 Stanton Street for a reported structure fire. Suppression crews quickly extinguished the fire and turned the scene over to Fire Prevention Inspectors. 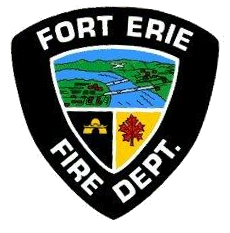 The inspectors are tasked with conducting fire investigations to determine the origin and cause of fire and explosions in the Town of Fort Erie. During this investigation, it was observed that the dwelling lacked a smoke alarm, which is required by the Ontario Fire Code. The Fire Prevention Inspector on scene initiated a prosecution against the property owner. On Wednesday, December 7, 2016, Keith Andrew Maracle pled guilty and was convicted in Provincial Offences Court of contravening the Ontario Fire Code. Maracle was fined $1,250 plus court costs in accordance with the Fire Protection and Prevention Act. The Ontario Fire Code requires residential homes have working smoke alarms on every level. Smoke alarms provide early warning to occupants in the event of a fire, providing the brief opportunity to safely escape the dwelling. The Fire Department reminds residents and building owners about the importance of fire safety and that violations of the Ontario Fire Code will not be tolerated. For more information, visit www.forterie.ca or call 905-871-1600.